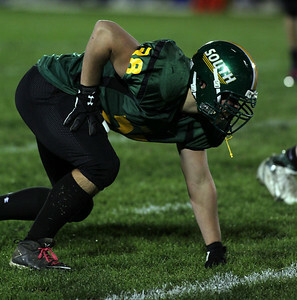 Crystal Lake South defeats Dundee-Crown 36-22. 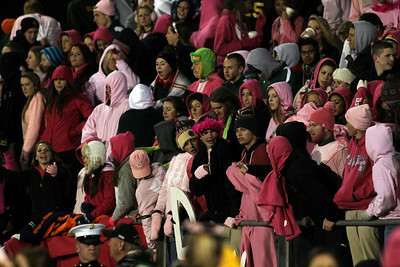 H. Rick Bamman - hbamman@shawmedia.com The Crystal Lake South Pom squad performs during the school song. 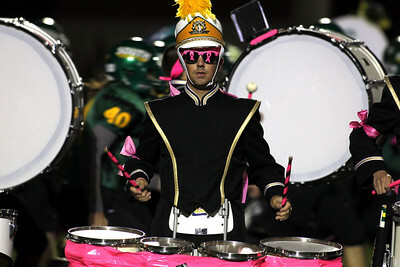 H. Rick Bamman - hbamman@shawmedia.com Crystal Lake South's drummer Chris Juliano performs during the pre-game show. 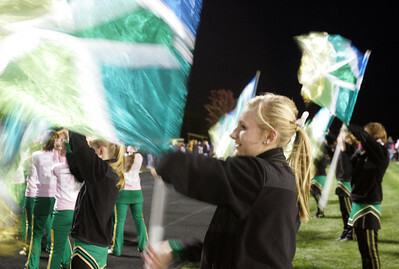 H. Rick Bamman - hbamman@shawmedia.com Crystal Lake South's Melissa Fulkes performs during the pre-game show. 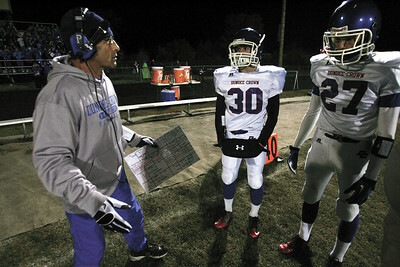 H. Rick Bamman - hbamman@shawmedia.com Dundee-Crown head coach Vito Andriola questions Ben Sprouse (center) and Fabian Gutierrez on the sideline at the start of the second half against Crystal Lake South. H. Rick Bamman - hbamman@shawmedia.com Dundee-Crown's Cordero Parson (left) jars the ball loose from the grasp of Crystal Lake South's Austin Rogers in the first quarter. Rogers held on to the ball for a gain of four yards. 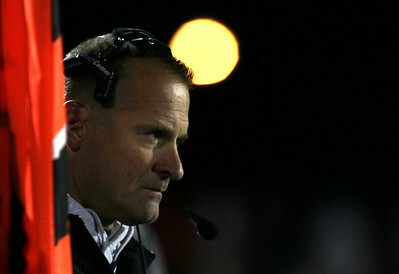 H. Rick Bamman - hbamman@shawmedia.com Crystal Lake South coach Chuck Ahsmann. 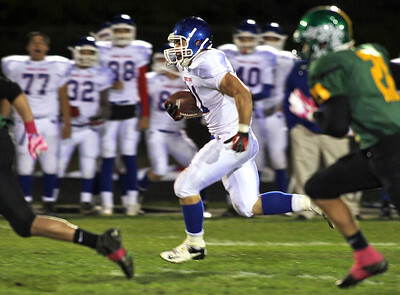 H. Rick Bamman - hbamman@shawmedia.com Dundee-Crown's Cody Lane runs for a touchdown in the second quarter agaist Crystal Lake South. 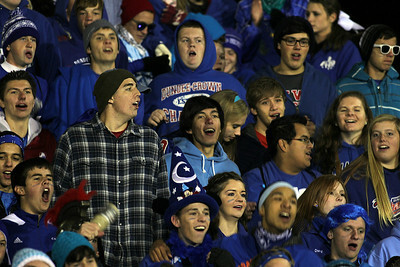 H. Rick Bamman - hbamman@shawmedia.com Dundee-Crown fans cheer for the Chargers. 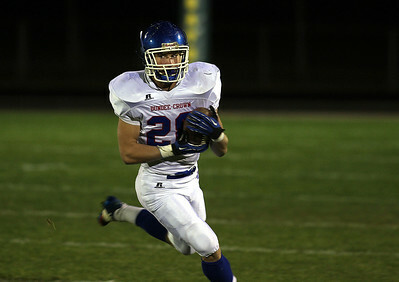 H. Rick Bamman - hbamman@shawmedia.com Dundee-Crown's Cody Lane spins for a first down in the first quarter. 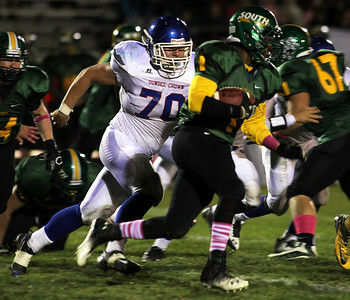 H. Rick Bamman - hbamman@shawmedia.com Crystal Lake South's Zevin Clark finds running room for a short gain in the center of the filed in the second quarter against Dundee-Crown. 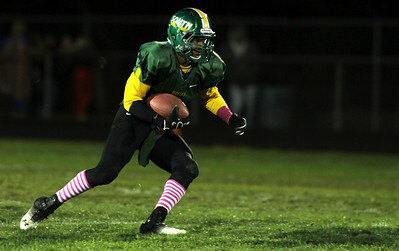 H. Rick Bamman - hbamman@shawmedia.com Crystal Lake South's Zevin Clark scores a touchdown in the the second quarter against Dundee-Crown. 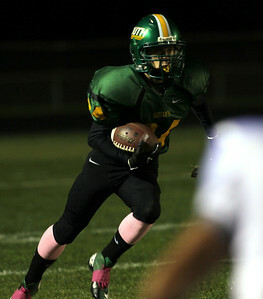 H. Rick Bamman - hbamman@shawmedia.com Crystal Lake South's Brandon Madoni returns a kick off in the second quarter. H. Rick Bamman - hbamman@shawmedia.com Dundee-Crown's TJ Moss gains five yards on a pass reception agaist Crystal Lake South. 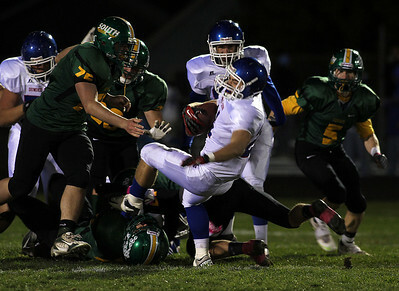 H. Rick Bamman - hbamman@shawmedia.com Dundee-Crown's Ray Griggel pursues Crystal Lake South's Zevin Clark in the third quarter. 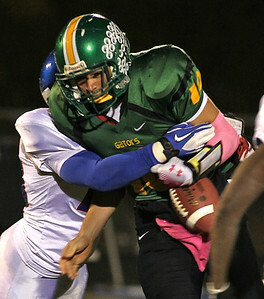 H. Rick Bamman - hbamman@shawmedia.com Crystal Lake South's John Fitzpatrick.